We are staying in Istanbul this week for our February Break. 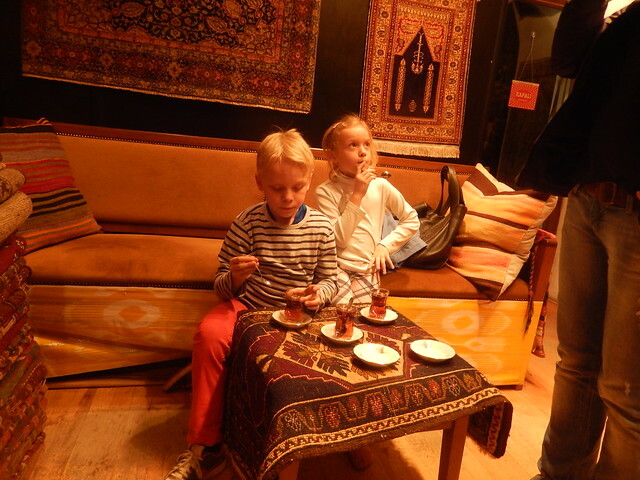 Our first day in the city yesterday was exciting, with a visit to the famous “Blue Mosque” and shopping for carpet. This is our third Islamic country for our family and it is nice to hear the call to prayer and the warm responses children receive from the locals. The city is breathtakingly huge and beautiful, with the minarets of mosques rising up from the hills and dramatic views to the blue Bosphorus. I can see why it is one of the world cities! 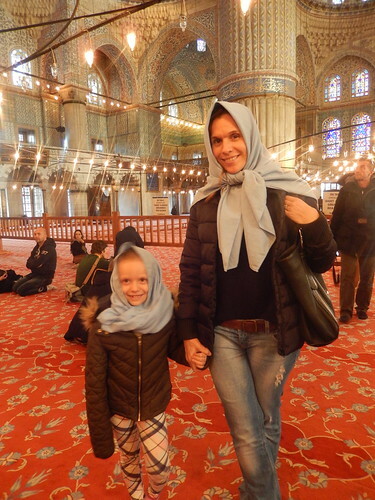 The Blue Mosque, was built by the Ottoman Sultan Ahmed 400 years ago. It is a huge example of classic Ottoman architecture. We had to remove our shoes and the girls put on head scarves. After touring the mosque, we went over to the Arasta Bazaar and bought a beautiful carpet from Murat Metin, in the Er Ne Hali Gallery. He was very helpful and we purchased a rug from his part of Turkey, the eastern Kurdish part. 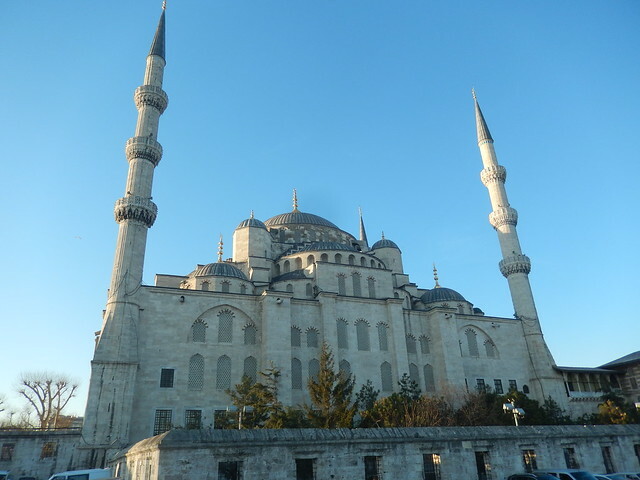 I will try to do a few more blog posts from Istanbul this week. the best for every mosques in the world !! !